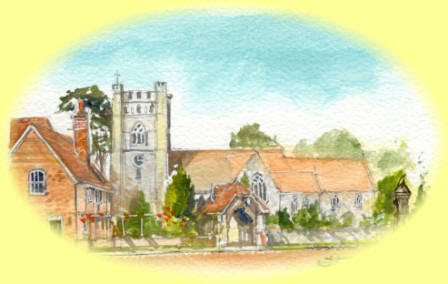 Hambleden parish church is situated at the heart of the village. There is easy & free parking at all times behind The Stag and Huntsman pub. Please park in the car park or as directed. The church is open for you every day. The Lady Chapel is well used as a place of personal quietness, contemplation and prayer. The parish church is very large and architecturally well worth a visit. There are printed guides on arrival, and a £2 guide to take away. If you come to church on Sunday please introduce yourself as you arrive and you will be welcomed by the sidesman of the day. Please, if you are able, stay for a chat after the service. Anyone will direct you to the pub, which opens at the end of morning service. 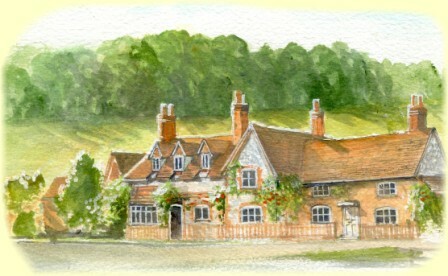 It offers good fair priced Sunday lunches and is an excellent (free parking) place to meet your own friends. You can picnic on the grass Dene beside the car park and you can walk from there on many gentle or challenging circular footpath walks bringing yourself back to the car and the pub.